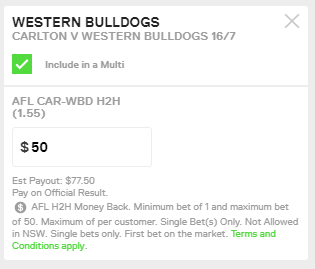 UBET: $50 Refund if your team lead at 1/2 time and lose ($50 max). 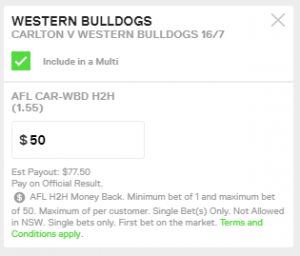 Madbookie: $30FB Bonus if your team lead at 3/4 time and lose ($50 max). Betting.club: $50FB Bonus if your team score 14+ goals and lose the match. 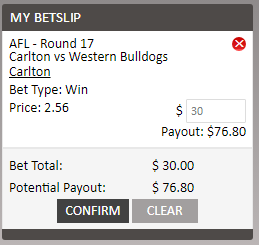 Sportsbet: Have your H2H paid out early if your team leads by 24+ points at any stage of the match. 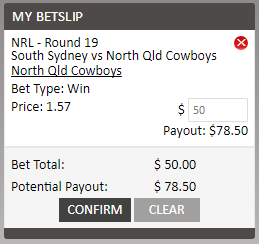 UBET: $50 Refund if your team lead by 6 points and lose the match. 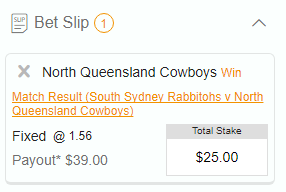 Madbookie: $50FB Bonus if your team lose by 3 points or less. 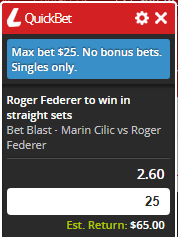 Betting.club: $25FB Bonus if your team score 21+ points and lose the match ($50 max). 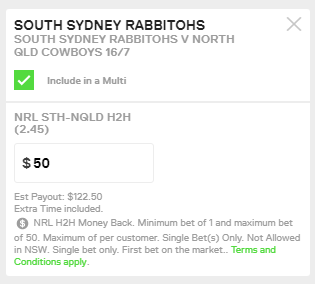 Sportsbet: Have your H2H paid out early if your team leads by 12+ points at any stage of the match. TABtouch: 50% Cash bonus on your set betting winnings up to $50.